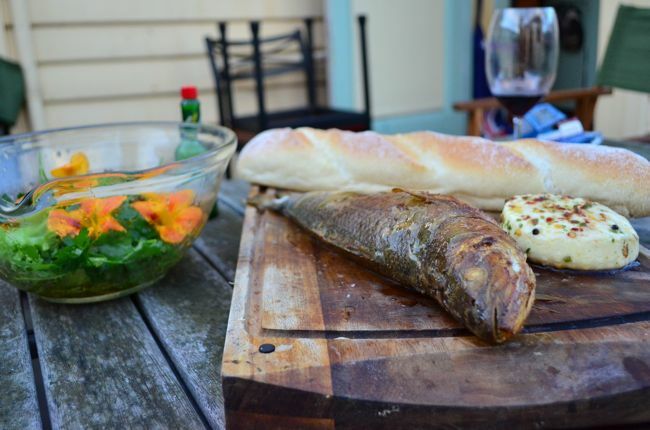 Kris: Thanks to a very kind neighbour, I had a freshly caught Australian salmon to cook with. In a previous blog post, I hot smoked some Atlantic salmon using some Tasmanian Cascade hops. I thought I would do a different version of smoked salmon using some Tasmanian grown Topaz hops. 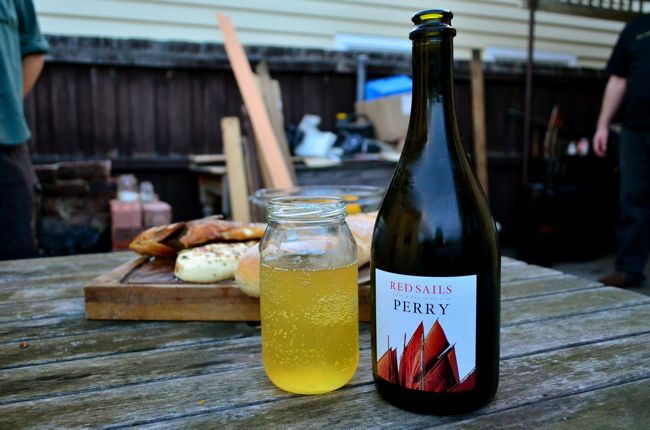 I also came across a bottle of Tasmania’s newest Pear cider from Red Sails. They have planted a huge variety of heirloom cider and perry trees and are producing some awesome cider. I thought the perry would be a great match for my smoked salmon. Kris: Instead of brining the salmon like last time, I simply smoked it for 15 minutes over a mix of mallee wood chips and topaz hops. I then seasoned it with salt and pepper, drizzled over some olive oil and baked it in some foil in a 160 C oven for 25 minutes. 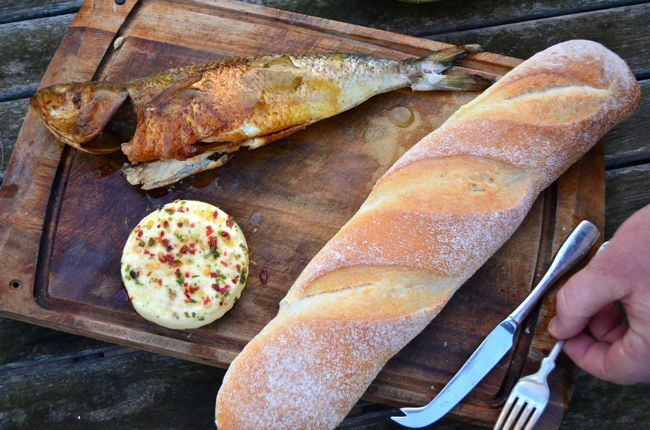 Kris: I was brewing my first saison, so the smoked salmon was a perfect lunch time snack. While waiting for the fish to bake, I started preparing the spices for my home brew. 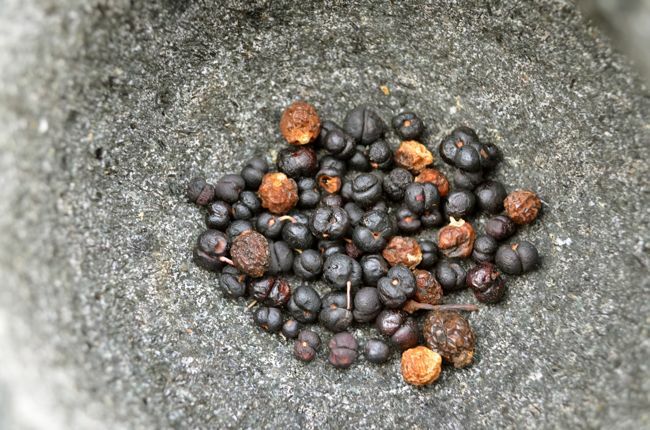 I used some Tasmanian pepperberries, lemon myrtle and bush tomatoes and I can’t wait to see how it turns out. Kris: I served the salmon with some Bruny Island O.D.O. (One day old) cheese and some fresh, crusty bread. I also made a simple salad from the garden with a dressing of olive oil and lemon juice. 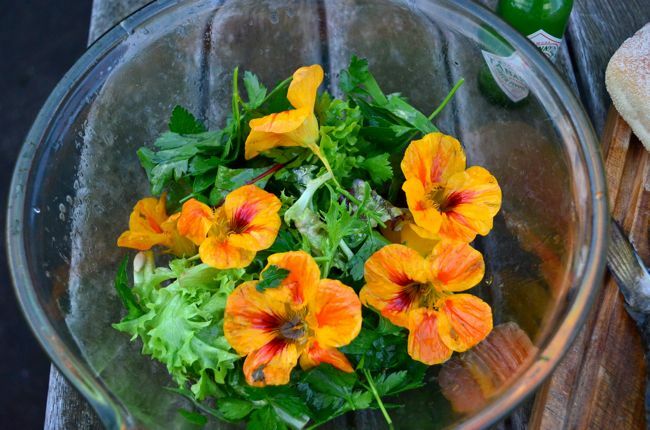 Caroline: I love using Nasturtium flowers in salads! 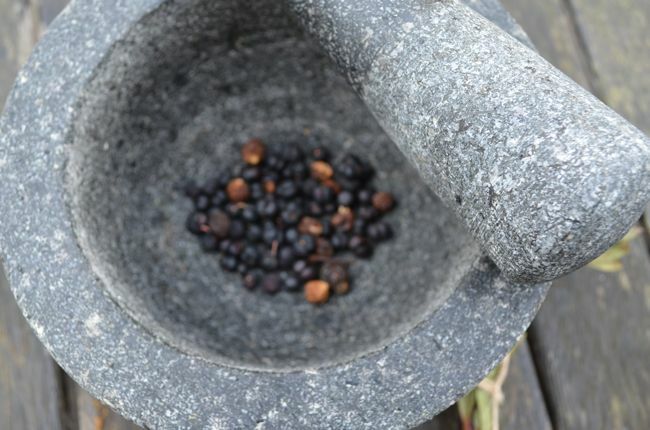 Not only are they delicious (peppery) but they are so beautiful. I think they make even the simplest salad look fancy. Not only are they delicious, but they are so easy to grow! Ours grow like weeds; we have to prune them back regularly just so they don’t take over the back yard. More facts about nasturtiums and some recipes here. Kris: The Perry was a great match for the smoked salmon. It’s fine carbonation and dryness cut through the smoky richness of the salmon. It also complimented the cheese and the fresh bread. 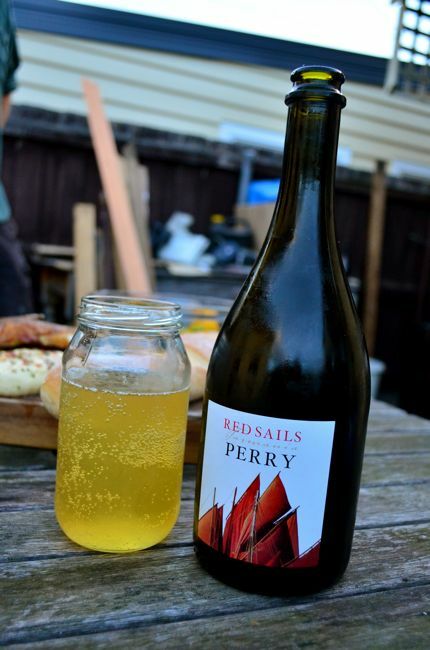 I will be keeping an eye out for some of the other ciders from Red Sails. The perry was one of the best I have ever tried. Caroline: I really liked the Perry by itself. It was refreshing and fruity. 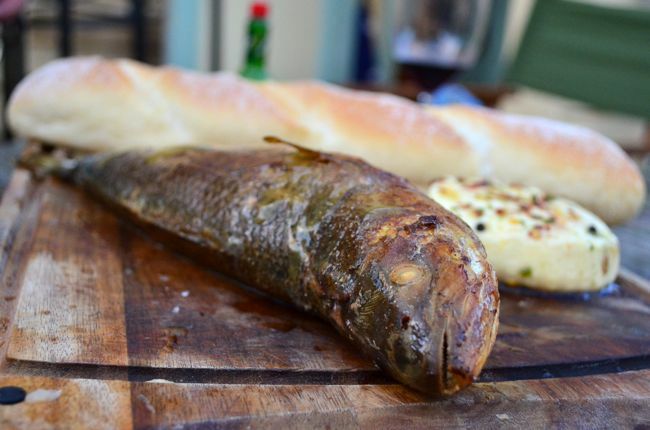 However, I did not really like it with the smoked fish. I thought the fish brought out a lot of fruitiness in the cider (which I guess is a good thing) but to me this masked over the smoked salmon a bit, and I love me some smoked salmon so I don’t want anything overpowering it. This entry was posted in Beer, Recipes, Snacks and tagged cider, salmon.